At SocialCops, weekends are for engaging with our community, learning, and discussing ideas and hacks around the latest technology advancements happening across the world. And this is what we love most about our weekends – hosting fellow engineers, data scientists and technology enthusiasts at SocialCops HQ! We hosted the PyLadies Delhi Meetup this weekend at SocialCops. The Delhi chapter of PyLadies is part of an international mentorship group helping more women become active participants in the Python open-source community. The event was hosted in collaboration with LinuxChix India, a community that works towards promoting Linux and other open source software–related projects among women. We kickstarted the day with some quick introductions and outlining the agenda for the day. This was followed by the first session by Aaqa Ishtyaq called “Web Scraping 101”. Web scraping is a technique of extracting data from websites and storing it in an external database. The session included an introduction to web scraping and a step-by-step guide to do web scraping using Scrapy, a popular Python framework for web scraping. Aaqa shared the below step-by-step guide for web scraping. Reconnaissance: After deciding the kind of information you want, find a page where you can start. Inspect the important elements and find out their tag (div, p, etc) and the class if necessary. Open up a Scrapy shell and try to get the information you need by accessing the corresponding element using XPath. Crawling: Use this logic in your code to extract data recursively. You can jump from page to page, by extracting links that match a pattern. Acquisition: During this process, any useful information you need (text, images, etc.) will be downloaded and saved to disk. You can find the resources here and connect with Aaqa on Github here. A lot of students are often confused about open source projects and the ways they can contribute to them. The next session by Shrreya Behll was for all those people who are interested in open source. Shrreya, an Android enthusiast is a lead of Developer Student Clubs (DSC) by Google Developers. The session included an introduction to the world of open source, basic Github commands and opportunities with open source communities like Mozilla, Facebook, GGSOC, and Outreachy. Learn more about Open Source Projects here or connect with Shrreya on Github here. We ended our day with a fun Chaos Engineering workshop. What do you do when you hit a wall? We get to fix it! The idea of the workshop was to show people how there is always a way to solve problems on our own. The house was broken into teams and they worked on fixing some broken Linux systems. Learn more about the concept of Chaos Engineering here. Check out more pictures and some live action that happened on our Twitter here. We are now gearing up for the next meetup — Delhi useR Meetup on 14th July, Saturday. Check out more details and register here. Excited about solving global challenges and working on products that are used by people across the world? Come and join us! 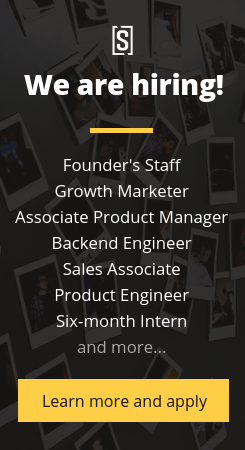 We are hiring for Front-End Engineers, Back-End Engineers, and Senior Data Analyst. Check out other open positions here.